An immigrant from Senegal died falling from a height, on the rails of the subway in Thiseio station in central Athens, during an operation of Municipal Police to remove peddlers from tourist area. A big operation of Municipal Police started on Friday afternoon on the touristic area of Thiseio, in central Athens, to remove immigrants from the streets, who work as peddlers to live. During this operation Cheikh Babacar Ndiaye a 37 years old immigrant from Senegal, was chased and he died falling from a height, on the rails of the subway in Thiseio station. From the blood seen on the pictures possibly his death resulted from the fall. Subway metro services were disrupted for at least two hours. First aid assistants removed the body of the immigrant from the rails. Meanwhile his friends gathered at the station, together with other people from Senegal. Some of them mourned, but when they saw the stretcher with the dead body they began to shout and protest. Some of them they shouted that Police is racists. 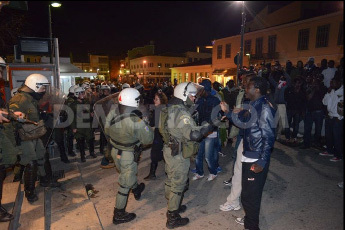 Riot police arrived immediately and attacked the gathered people, and cleared the area around the station. At the same moment of the attack the dead body of immigrant was moved to an ambulance and left the area, for an unknown and undeclared direction, in spite of the questions made ​​on this. The 99-page report documents the failure of the police and the judiciary to prevent and punish rising attacks on migrants. Despite clear patterns to the violence and evidence that it is increasing, the police have failed to respond effectively to protect victims and hold perpetrators to account, Human Rights Watch found. Authorities have yet to develop a preventive policing strategy, while victims are discouraged from filing official complaints. 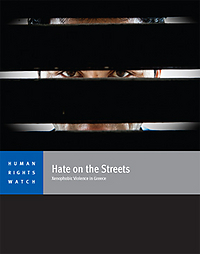 No one has been convicted under Greece’s 2008 hate crime statute. Nabi, a 20-years old Moroccan, is lying on the ground. He looks dead. Twenty minutes earlier we were sitting in the recovered-from-garbage chairs and furniture, smoking cigarettes and chatting in one of the abandoned wagons of the old train station of Corinth (Greece). Nabi lives there with about other 50 migrants from Afghanistan, Iraq, Algeria, Tunisia, Morocco, Yemen. Nasir—a polyglot, art lover Afghan interpreter—asks Nabi, another art lover, to draw something. The young Moroccan sketches the boat of the Hellenic Seaways moored just 200 meters down in the bay. They all are waiting the lucky day in which they will be able to catch the ferry; climbing to it, or hidden in the load of the trucks that the boat carries to Italy. And then… go further North in search for a job, a future, a safe and normal life. Crisis-hit Greece has become a nightmare for them. There is not the slightest possibility for work in a country with rocketing unemployment figures. Greeks don’t want them, neither they want to stay in Greece, but they are stuck here because European Union treaties allow third countries to return them to the state where they first entered the EU. And Greece has been the gate to Europe in the last years for 90 % of migrants. We, African refugees resident in Ermioni, have the honour to bring to your knowledge the perpetual threat of our security. We send out this alarming and disgraced message to all national and international organisations defending the cause of refugees and all persons of good will who can defend us from this insecurity and racial segregation, and restore and recognise our international human rights as no one wishes to be a refugee. While over a year has passed since the landmark ruling by the Grand Chamber of European Court of Human Rights (ECtHR) in the case of M.S.S. v. Belgium and Greece, Amnesty International remains profoundly concerned about the treatment of asylum-seekers in Greece. On Saturday, December 3, 2011, 50 immigrants held at the Alikarnassos Police department in Heraklion, Crete, started a hunger strike. They did this to protest against their imprisonment conditions: they are let to starve, with no medical care. They leave their prison cells only to go to the toilets. When they protested about these conditions in the past, they got beaten up by police officers. So their only solution was the hunger strike. Most of them are refugees from countries like Syria, where the repressive regimes force them to migrate seeking for a better life. 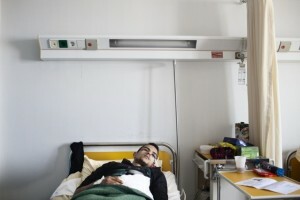 The hunger strike ended on Friday, December 9.